Megan was born and raised in the small town of Brookfield, NS. After graduating high school, she started a career with Air Canada based on her passion for travel as well as meeting and working with new people. After seeing the world and living out of province for nearly two years, she moved back to Nova Scotia in early 2018. 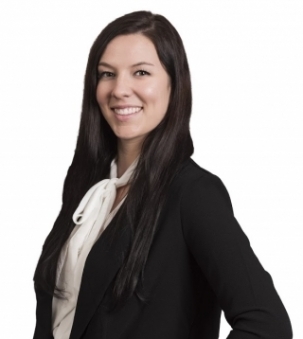 With a new found appreciation for her maritime roots, east coast living and the real estate market so close to her upbringing, she was inspired down a new path to become a licensed realtor with Royal Lepage Atlantic. Megan aims to bring a fresh and creative style to the real estate market through the most current marketing tools. With an enthusiastic attitude, along with a passion for real estate and customer service, she will make it her goal to help you achieve your goals and be proud of where you live! Building honest and positive relationships with her clients will be a top priority to ensure the entire process is seamless and enjoyable. She looks forward to working with you soon!